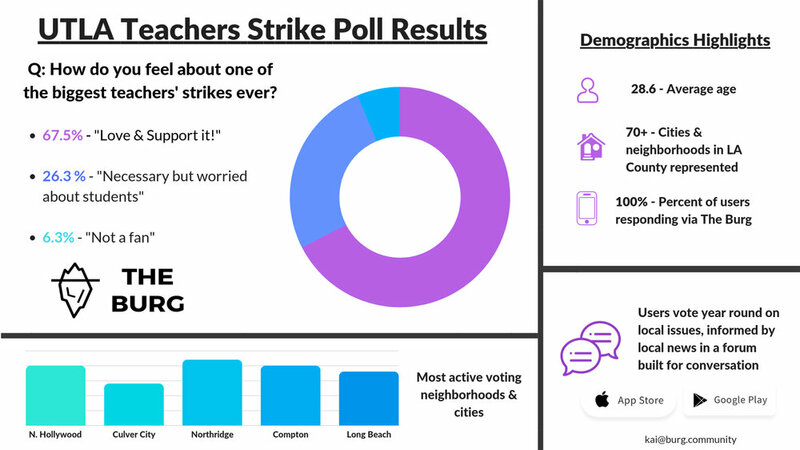 We polled LA County to see how folks felt about the standoff between UTLA and LAUSD. We will continue to host weekly polls, based on issues covered by great local journalists. This poll, and every poll after it, has been published and sent to Los Angeles government officials and media. Your vote is amplified by The Burg, and sent straight to the folks in power. The Burg is here to revolutionize the democratic process. Information + Engagement = A Better Democracy.